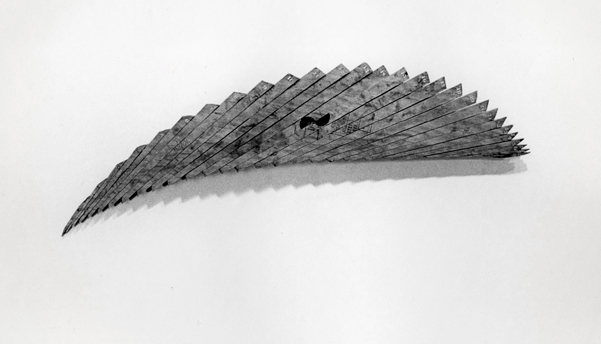 Nickel’s cutting scheme produced slightly wedge-shaped slats from the original scavenged plywood disk. When he moved each slat two inches to the right, the disk became a graceful arc. This disk had a hole in its center, which produced the black mark — a two-inch circle perfectly bisected and offset by two inches. H: 18 in. x W: 40 in.